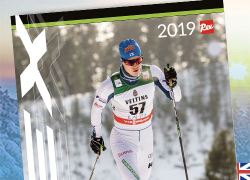 Peltonen LW collection gives a World Cup level performance for junior skiers with same top features as found in adult skis. Low Weight collection is available for to 55 kg skiers. The Peltonen LW collection gives World Cup level performance for junior skiers with many of the same top features found in the Elite and Racing collections. The Low Weight collection is available for skiers up to 55 kg. The Supra X LW is a new skate racing ski for juniors. The super light Aircell honeycomb core and PRG 4100 racing base guarantee excellent performance in various snow conditions. The Supra C LW is the first race level skate ski for the future champions. The high quality PRG 4100 base material helps to improve glide in many snow conditions. The Infra C LW is a great ski to start with for a classic skiing career. It includes an easy to ski kick pocket action with an air channel core and top quality PRG 4100 racing base to increase speed.